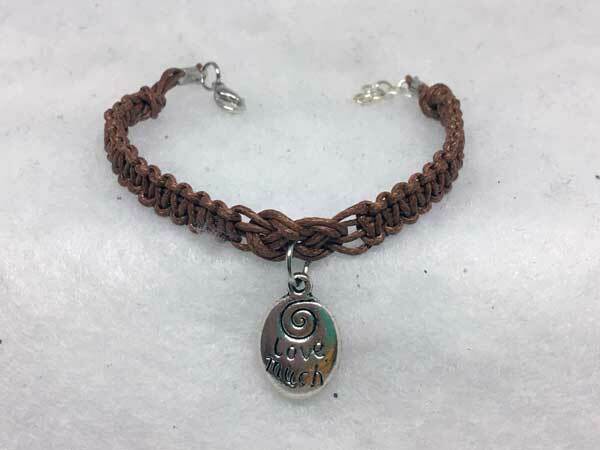 Cocoa-colored waxed cord are used to compliment this two-sided charm. Wear it either way, with one side saying LAUGH OFTEN and the other side saying LOVE MUCH. The addition of chain at the lobster-claw closure, allows the length to vary from 6 3/4 to 8 inches.